HomeWood Designer ForumPolyboardRegular drillings alternative. 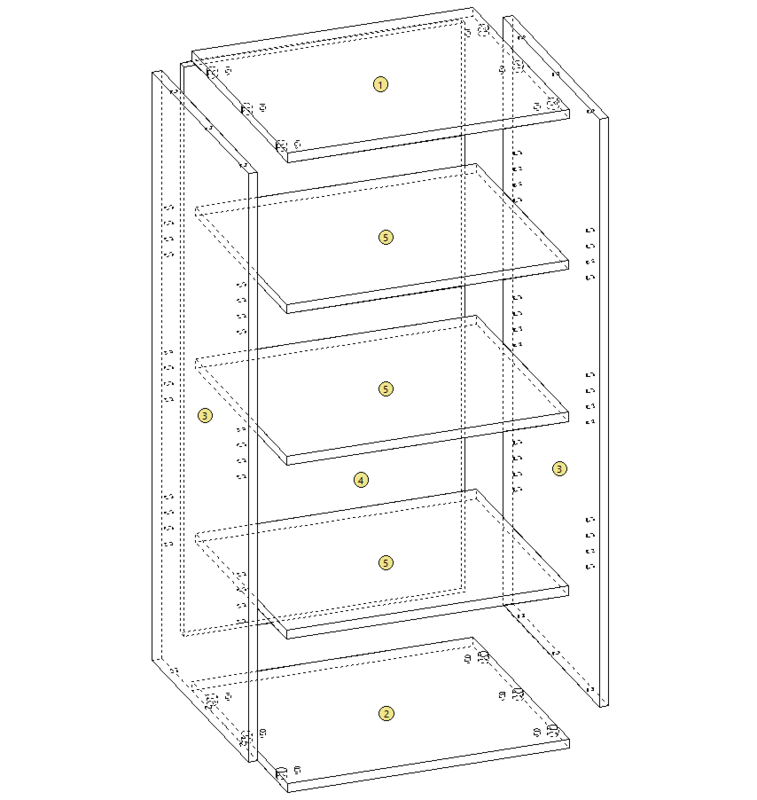 With a cnc regular drillings are not very useful and I would suggest that if using cnc you only drill holes when you insert a shelf. 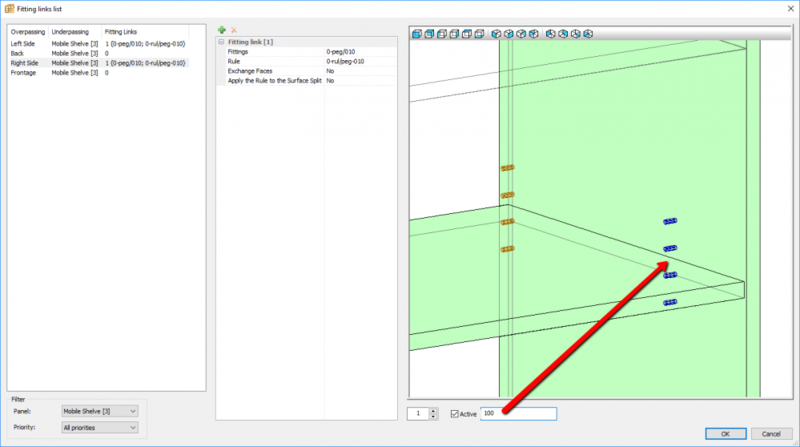 This allows you to move or erase a series of shelf pegs holes individually using the “fitting links list”.